Published on September 14, 2011,	by Jason in Clover, Lizzy's, Pug's. We had a great suggestion by one of our members and we are going to do our best to use this blog to act on it. Very frequently businesses in our neighborhood will have to head over to City Hall to get permission for this or that in their business. Following the Hearing Schedules is the best way to get the scoop on whats moving in … but it can be a hassle to always be checking out. When we come across something that we think might interest people we’ll try to post it here. IF ECBA has a stance we’ll let you know. Application Kafofo Indistries, LLC d/b/a Kafofo, Rosangela Santiago, Manager, has applied for a common victualer license to be exercised at 594 Cambridge Street. Said license if granted would allow food and non-alcoholic beverages to be sold, served, and consumed on said premises with a seating capacity of 20. The hours of operation will be 7:00am to 7:00pm seven days per week. Application Clover Fast Food, Inc., Ayr Muir, Manager, has applied for a common victualer license to be exercised at 302 Elm Street. Said license if granted would allow food and non-alcoholic beverages to be sold, served, and consumed on said premises with a seating capacity of 66. The proposed hours of operation are 6:00am to 11:00pm seven days per week. ECBA worked with the owners to help bring Clover Food Labs to East Cambridge. Hope to see them do well in the area. Published on September 12, 2011,	by Jason in Rib Fest. The Smoke This Rib Fest would not be possible without the generous support of our sponsors. These companies demonstrate a true commitment to not only the small business community, but to the East Cambridge community at large. Spotlight on Sponsors, will introduce you to the companies that are making Rib Fest possible. 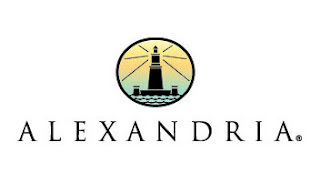 Alexandria Real Estate Equities has been a great partner with the ECBA, and has also shown a great commitment to the East Cambridge neighborhood. ARE will soon start construction on new projects in the Kendall Square area, and as part of the build out East Cambridge will see a new 2.5 acre park. ARE has also committed funds to an East Cambridge Open Space fund for future aquisition of open space opportunities within the neighborhood. Thanks to ARE for their commitment to East Cambridge and helping ECBA fullfill our mission. Published on September 8, 2011,	by Jason in how2heroes, Rib Fest. A new feature we are adding to Rib Fest this year is the how2heroes demonstration stage. If you arent familiar with how2heroes its a great site that has instructional videos hosted by local chefs and food “heroes”. We will be featuring some of their best videos hosted by by our Rib Fest participants. Published on September 8, 2011,	by Jason in Rib Fest. With a motto of “Saving Together to Lend to Each Other,” CPCU has had a rich history of helping its’ members with financial needs and providing quick and easy access to a wide range of services. Published on September 7, 2011,	by Jason in Feast of Saints Cosmas and Damien. 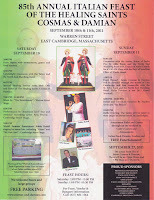 This weekend is the 85th Annual Celebration of the Feast of Saints Cosmas and Damien. The Feast is a great East Cambridge tradition that celebrates not only the Feast of the Twin Saints, but also celebrates the history and tradition of our neighbrohood. EC was shaped by the many immigrant cultures that were welcomed over many generations. The Feast of Saints Cosmas and Damien is a celebration of the those who immigrated here from Gaeta and made East Cambridge their home. This years celebration features Boby Rydell and Ayla Brown, who will perform on Cambridge St. on Saturday night. Lots of food and fun and games for all. Be sure to come down to Warren Street and enjoy the festival this weekend. Published on September 5, 2011,	by Jason in East Cambridge Savings Bank, Rib Fest. 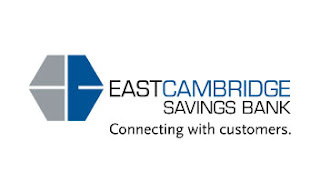 East Cambridge Savings Bank is committed to being the bank of choice in its market area, recognized for exceptional service to individuals and small businesses and committed to the community. East Cambridge Savings Bank will continue to focus on its core strengths and values to differentiate its business practices and to better serve the communities it calls home. ECSB’s involvement in community activities has grown almost too expansive to list but covers a wide range of human services, civic, and charitable endeavors. Through the East Cambridge Savings Charitable Foundation, they have provided support and encouragement to literally thousands of area residents. ECSB treasures this unique opportunity to give back to their community in such a meaningful way. The ECSB has played a vital role with the ECBA since we offically formed. It has been through ECSB’s support that the ECBA has been able to make significant steps in establishing ourselves as Stewards of Cambridge Street. Their early support gave us the ability to take on East Cambridge In Bloom and they provided support as we formulated the concept of the first Rib Fest. ECSB is commited to making East Cambridge the best neigborhood in Cambridge. Published on September 5, 2011,	by Jason in Rib Fest. Taste Tickets are officially on sale. Things have slightly changed this year, so we wanted to give a quick explaination on how things will work this year. As of this posting, the event has expanded to include 19 restaurants from East Cambridge, Kendall Square and Inman Square. Each Taste Ticket will ensure that you can try 10 samples of Ribs from the restaurant of your choice on a first come first serve basis. So just like last year, the Taste Ticket gets you 10 samples, but this year you’ll have to choose the 10 out of the 19 retaurants to try. Each Restaurant has a limited number of samples, so if they run out, Ticket holders simply have to get a sample from a different participant. Everyone will get their 10 samples, but come early to make sure you get to try the restaurants you have your heart set on. Just like last year, The Taste Ticket doubles as the ballot for the People Choice Award. try your 10 samples and let us know which restaurant you liked the best. The People’s Choice will be awarded at the end of the event along with a new Best Rib Award decided by a judged panel. Published on August 31, 2011,	by Jason in Rib Fest. The East Cambridge Business Association (ECBA) is proud to present The East Cambridge Business Association “Smoke This” Rib Fest 2011, on Sunday October 9, 2011 from 12:00 noon – 4:00pm. The Rib Fest and Street Fair will take place on Cambridge Street in East Cambridge, between Fulkerson Street and Fifth Street. The Rib Fest is a culinary showdown pitting pit master against pit master for the title of the best ribs in town. The event is for all ages so come and enjoy some BBQ. There will be plenty of food and fun to be had, but for the best chance to sample a variety of ribs and to cast your vote, you’ll need a Taste Ticket which will get you 10 rib samples from the restaurants of your choice at a first come first serve basis. Taste Tickets go on sale September 1st. Additionally, each restaurants will be selling a dish of their own, showcasing their own menu. Join Abigail’s, Area Four, ARTBAR, Atasca, Atwood’s Tavern, Bambara, Bosphorus, CRLS Culinary School, East Side Bar and Grille, Lord Hobo, Midwest Grill, Muqueca, New Deal Fish Market, Portugalia, Lizzy’s, Redbones, Think Tank, Trina’s Starlight Lounge, and Tupelo as they compete for their chance at BBQ glory! Enjoy cooking demonstrations from local chefs, brought to you by how2heroes, while the kids enjoy fun and games with The East End House. Local favorites Hayride, and The Atwood’s Monday Night Bluegrass Band will get you moving with their Bluegrass and Americana rhythms. The Royal Sonesta, CPCU Credit Union, Gentle Giant, New England Tango Academy, McKinnon Company, Kroner Design, Royal Hospitality, M.I.T., City Retail, Vinfen, and SVNGR. See http://www.eastcambridgeba.com/ for further event and Taste Ticket info. Published on August 25, 2011,	by Jason in Cambridgeside Galleria, East Cambridge In Bloom, Mayflower Poultry. Earlier this afternon we received a phone call from the DPW alerting us that they will be taking down the flower baskets in anticipation of the bad weather heading our way. Its rather unfortunate, since the baskets are really looking great and have alot of life left to them, but understandable. Last thing we want is for a flower basket to crash through someones store or car window. Unfortunately DPW doesnt really have the capacity to store them, espcially since they are battening down the hatches of the entire City right now. So it was looking like the flowers were going to be done for the year unless we could find someplace to keep them safe for the next week or so. We sent out an email to our members to see if anyone had any suggestions. Within 20 minutes 2 of our members came up big. Both the Galleria Mall and Mayflower Poulty offered some space. So cross your fingers that we can work something out and get those pots back up after the storm passes. Thanks to Galleria and Mayflower for stepping up and proving our theory: People Love Flowers. INMAN UNDER THE STARS MOVIE NIGHT & NEIGHBORHOOD SOCIAL! Published on August 18, 2011,	by Jason in Cambridge Arts Council, Inman Sq, ISBA, Movie Night. 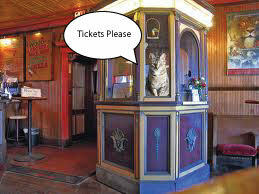 Starting at 6pm swing by to pick up your golden ticket which will guide you to many wonderous deals all in Inman Square! · 7:00 PM – A Visit from Brett Silvia’s Op the Cyclops! · 8:15 PM – FREE Movie Extravaganza – Oompa Loompas are welcome! Visit CambridgeArtsCouncil.org or InmanSquare.com for more information about Summer in the City Programs or Inman Square. Assistance provided by Cambridge Community Development Department and Cambridge Department of Public Works.